Disasters are inevitable. From tornadoes to hurricanes to earthquakes, mother nature has proven that no amount of technology can get in the way of these catastrophic occurrences. However, with the right training, first responders and rapid response teams can minimize causalities and save lives. But how can they get this training? Advancements in technology are making this type of training more effective and efficient. One of the most promising technologies related to disaster training is virtual reality. Virtual reality can create artificial worlds that trainees can explore and interact with. This allows first responders to take advantage of a digital environment that places them in the middle of a disaster situation without the danger. Throughout the years, the United States has suffered a wide range of disasters that are both natural and man-made. Floods are the most common natural disasters. In addition to floods, earthquakes and hurricanes are fairly common. Wildfires and volcanic eruptions are more rare but extremely deadly. Disasters are also extremely costly to communities. In 2015, there were $16.1 billion worth of insured losses as a result of disasters, in addition to 316 people being killed. Remember, these are only natural disasters. When you factor in man-made disasters, there are a wide variety of situations that emergency responders need to be equipped to deal with. Virtual reality can be implemented to help train first responders in many ways. Virtual reality is an ideal way for trainees to receive advanced tactical training in chaotic situations. They can also continue to practice in these situations continuously until they have mastered the skills and techniques that are required. When people are faced with real-life disasters, they can revert back to their training. Training in a virtual reality environment makes responses automatic. Virtual reality can also be used for strategic training sessions and table top exercises. These trainings are designed to help people think through issues and situations. Virtual reality provides a variety of opportunities to consider variables and be placed under more intense pressure. This is more effective because it allows for an interactive experience. The scenario can unfold like a story and the people involved in the training can think through a more enriching experience. Implementing virtual reality technologies into disaster training is far superior to traditional training. With virtual reality, trainees can face actual threats in a realistic environment without ever being in actual danger themselves. Training modules can reflect many different types of situations in a comprehensive manner that mirrors what will be experienced in the field. Virtual reality environments can be created with a stunning level of physical accuracy. This can be specific to neighborhoods, cities, buildings, or any other area where a disaster may occur. It is also extremely cost effective. It’s easier to create digital disasters then to hold a full scale emergency drill. After the creation of a simulation, it can be used over and over again, as compared to a real-life drill that is a one-time event. Virtual reality is also more efficient because there is no need to wait for a trainer or scenario set up. People can train independently. In addition, people do not need to travel or arrange for any logistics. Simulations can be created and deployed across departments and municipalities. Traditional training methods are usually classroom-based and instructor-led. Sometimes this training is augmented with web-based training and pre-recorded videos. From time to time, trainees would also participate in tabletop exercises and real-life emergency response drills. Unfortunately, classroom and web-based training lacks realism. Tabletop exercises and emergency response drills can somewhat help in this area; however, they are still not very realistic and can be very inconsistent. Virtual reality is the only way to currently offer consistent real-world situations in a cost effective manner. 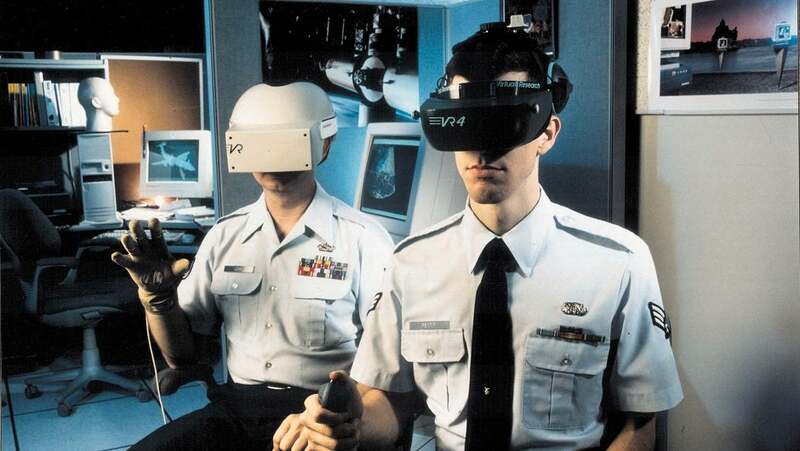 Many United States government agencies have started using virtual reality for training. This includes a variety of agencies like the Department of Homeland Security, Centers for Disease Control and Prevention, the National Institutes of Health, and the National Science Foundation. The New York City Office of Emergency Management also currently uses a virtual reality simulator to train on rescue procedures. The simulators allow trainees to engage with a digital New York City using a joystick. The Los Angeles Police Department also uses a virtual reality simulator for disaster response training. This simulator can be connected to other emergency operation centers across the world for cooperative trainings. The simulator can even produce real-time information like briefings and newscasts. This creates a completely immersive situation designed to significantly challenge the trainee’s decision making. The Department of Homeland Security’s virtual reality system is called the Enhanced Dynamic Geo-social Environment or EDGE. With this system, multiple people can train simultaneously to work on coordinating responses. This allows them to prepare for complex situations in a very efficient manner.